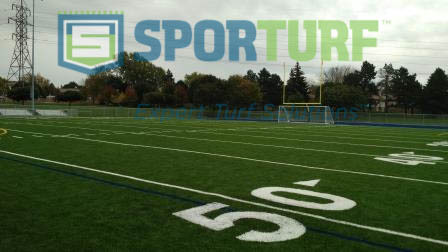 Worldwide Turf Inc. is continuing its installations in Ontario with the culmination of EE Mitchelson Park. The million-dollar transformation of Michelson Park field is a partnership between the City of Niagara Falls, Niagara Falls Soccer Club and the Foundation for Catholic Education of Niagara. The turf will be a multi-use field for sports such as lacrosse, football, soccer and rugby. These new fields will not only be used by the Catholic elementary and secondary schools, they will be open to sports groups and other organizations throughout the Niagara region. Over the next five years, the board plans to install artificial turf fields at all eight of its high schools.